The history of a library in Northfield goes back to the winter of 1856, a year after the city’s founding, when a group of pioneer women organized a modest reading room in the schoolhouse at Third and Union Streets. The reading room contained a collection of books donated by community members, as well as newspapers and magazines that travelers had carried with them to Northfield from other locales. In 1857, the Lyceum Building opened on East Fourth Street, and it became the home of a circulating library with a collection of more than 200 books. The Lyceum Society went bankrupt in the years after the Civil War, and in 1874, a new citizens organization was founded: the Reading Room Association. Its first president was Professor Horace Goodhue, who taught Greek at Carleton College. The association took over the failing Lyceum Library and refurbished it with help from the city and donations from residents. To entice readers back to the facility, a local women’s organization, the Gleaners, organized entertainments, lectures, and presentations by outside speakers as well as local talents. The Reading Room Association and the Gleaners increased the library’s collection and added new shelves and furniture. Soon people from all walks of life were coming to the library to read. In 1878, the library moved to the upstairs rooms of the Young Men’s Christian Association (YMCA) of Carleton College, located in Shatto’s Block on Bridge Square. Seven years later, the books moved again, to larger quarters in the building of the Northfield YMCA at 304 Division Street. The YMCA Library received fifty to one hundred visitors a day. Seeking a stable source of financial support, the library board asked the city of Northfield to operate the library as a tax-supported institution. In 1896, after rejecting two proposals, the city council approved one. 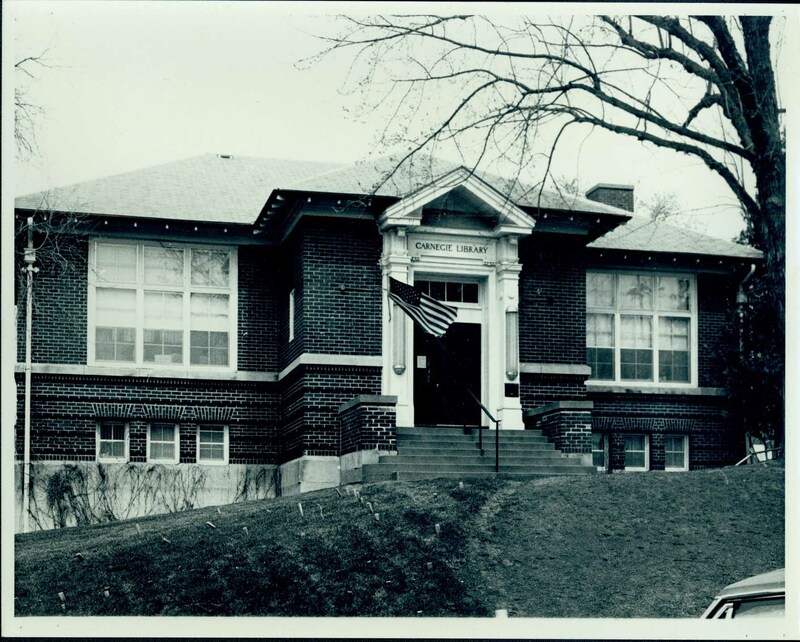 On October 22, 1898, the Northfield Public Library, governed by a municipally appointed board, took over the collection of books at the YMCA. Edith Pye was its first librarian. When it became clear in the early 1900s that the library was outgrowing its space, the board appealed to businessman Andrew Carnegie, who funded more than 2,500 Carnegie libraries around the world between 1883 and 1929. The town received a $10,000 grant from Carnegie in 1907. This was combined with $1,500 raised by city taxes and donations. 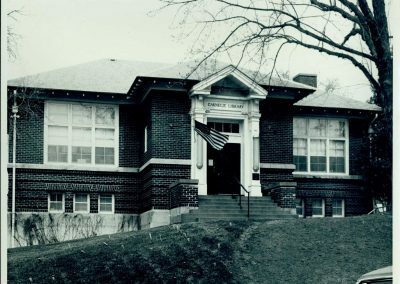 Construction began in 1909, and the new 3,500-square-foot Northfield Public Library, located on Third Street between Division and Washington Streets, was dedicated on April 29, 1910. The architecture of the Northfield Library is simple rather than ornate. The original main entrance, with its Greek pediment above the door, proclaims Northfield’s commitment to knowledge and culture. An impressive set of steps leading to that entrance symbolizes the elevation provided by learning. Inside, the building had an open design, which enabled people to browse and discover books on their own. Before this time, patrons generally had to ask a librarian to retrieve books from closed stacks. The building still has a fairly open plan, though the entrance was shifted from Third Street to Washington Street in 1985. That’s when a $1.3 million renovation tripled the size of the building, providing additional shelf space, a children’s room, and a community meeting room. The library serves about 600 people a day and continues to be a vital part of life in Northfield. It is currently undergoing a $2.1 million renovation and improvement project that is targeted for completion in fall of 2016. A look up at the Northfield Public Library, which opened in 1910.